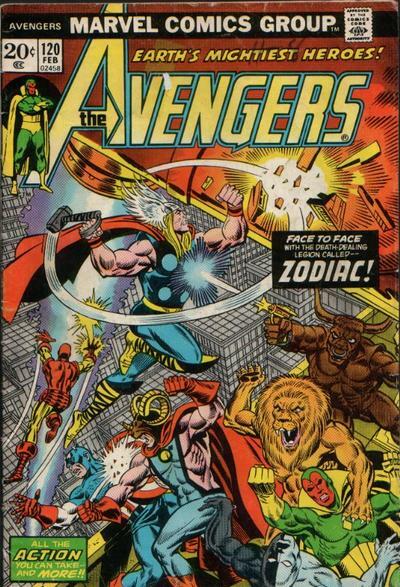 What is is, Groove-ophiles! Tomorrow's the big day, baby! 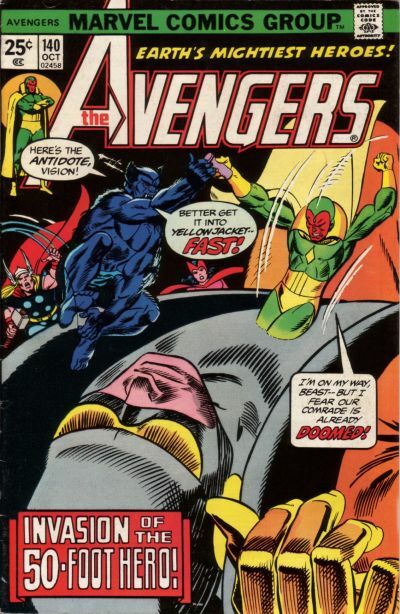 Ol' Groove can barely stand the wait until Earth's Mightiest Heroes get it all together at my (not so) local theater! 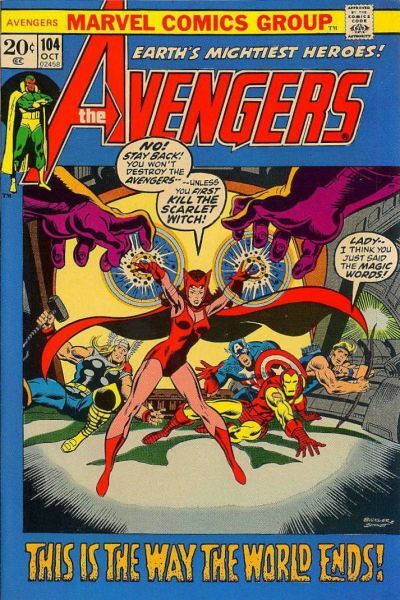 Let's whet our Avengers appetite by trippin' down Memory Lane with some of the coolest Avengers covers to ever pry change out of a kid's fingers! What? You didn't see some of your faves? It might be because I've already posted 'em. 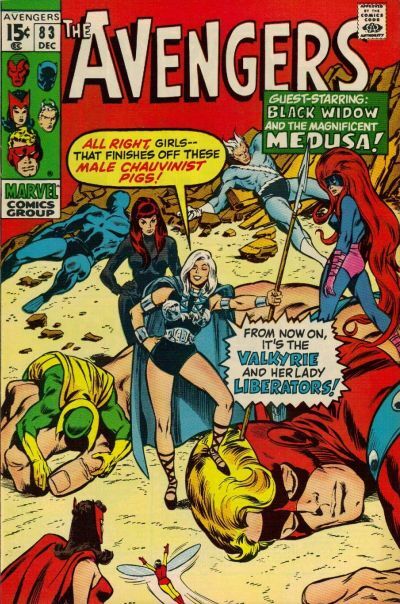 Or it might be that I'm saving them for Round Two (sometime in your future, baby!). 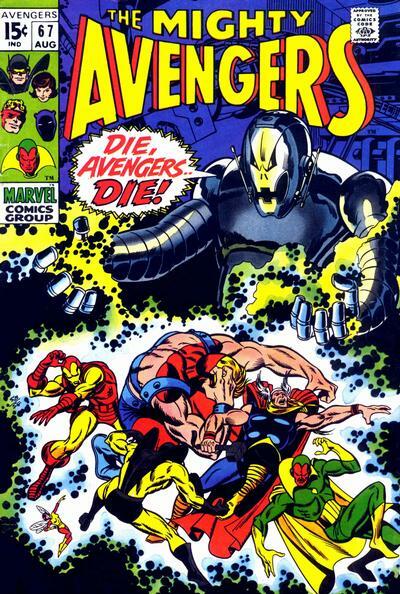 Or...it might be that you'll see 'em illustrating tomorrow's post as we go Avengering Through the Groovy Age! 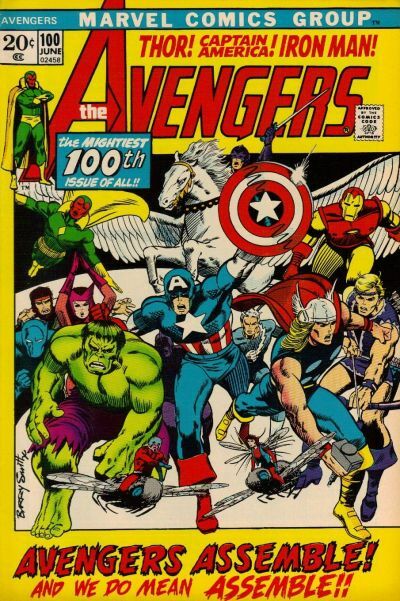 Yeah, that's how we're gonna finish this epic AVENGERS WEEK! Be here!! 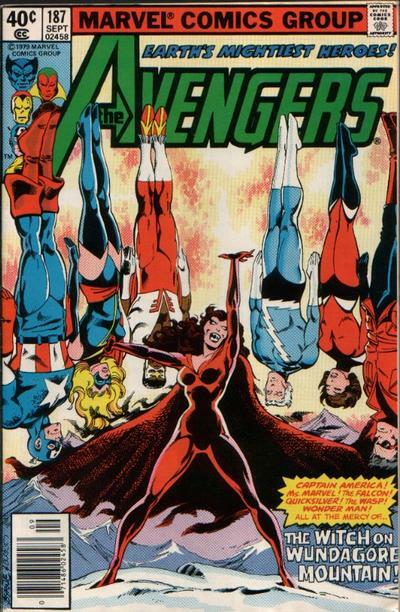 Thanks for more Great Avengers covers! 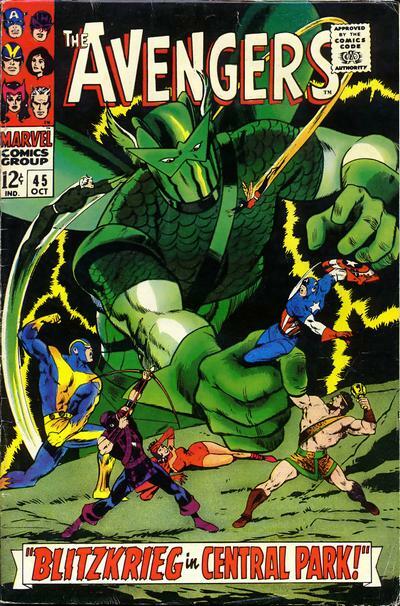 Super-Adaptoid + the Lady Liberators:wonderful blasts from the past.#104- Wanda vs.the Sentinels,I read & reread that issue as a kid,'til the cover fell off! 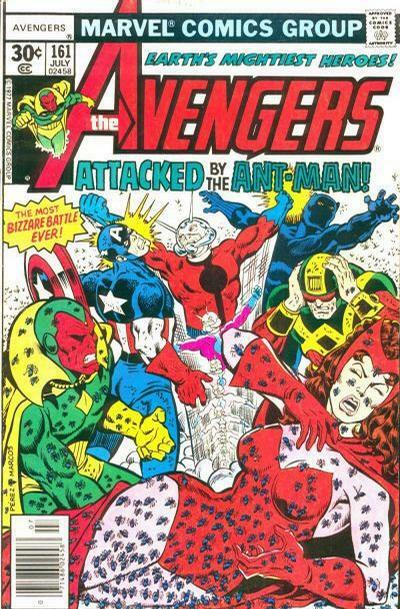 Issue# 161-return of a crazed Antman,art by George Perez...another favorite! Good Stuff! 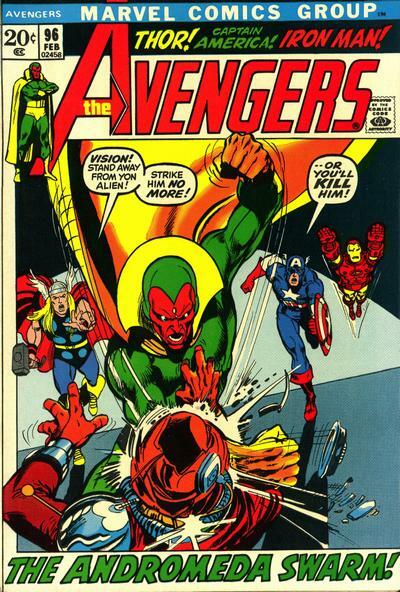 The Avengers certainly have had more than their share of problems with killer robots: Adaptoid, Spider-Man, Ultron, Vision, Mandroids, sentinels... the list goes on and on!